Essential guide to Fortnite, the biggest game of the year, combining info on Battle Royale and Save the World modes. Inside, find crucial combat tips, Save the World survival advice, and tons of Battle Royale secrets, plus loads of stunning screenshots. It's everything you need t... read full description below. Essential guide to Fortnite, the biggest game of the year, combining info on Battle Royale and Save the World modes. 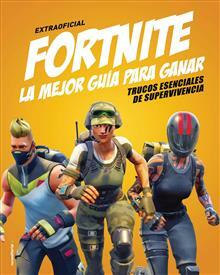 Inside, find crucial combat tips, Save the World survival advice, and tons of Battle Royale secrets, plus loads of stunning screenshots. It's everything you need to be the last one standing!